Last spring I had the amazing opportunity to go over to South-East Asia with my family, to visit the area, and help out at an orphanage. It was an amazing experience and a great place (I know that there are some people on this forum from there and you are very lucky). Anyway, I was looking through my pictures and I saw some pictures that I thought I should post about. 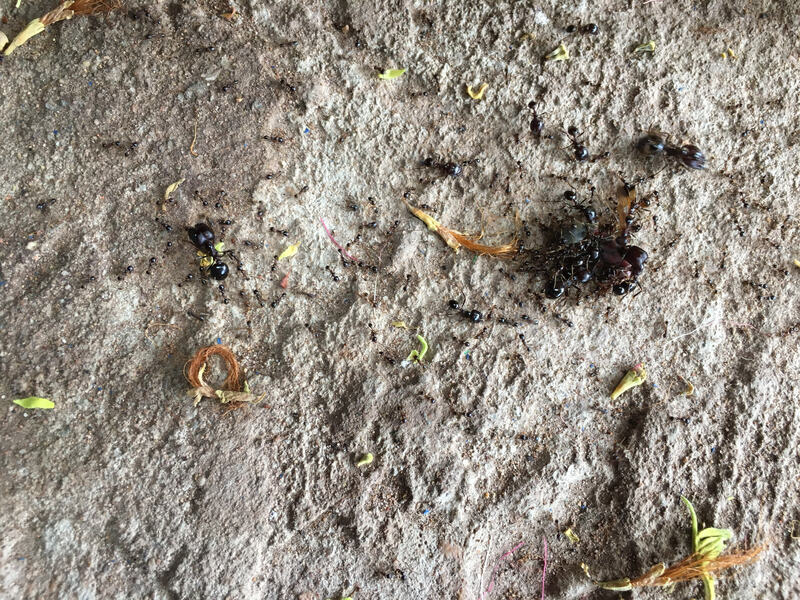 I was lucky enough to find a mature, active colony of Asian Marader Ants (Carebara Diversa), attacking some food! For size reference, that yellow thing in the last picture is the leg of a plastic chair. P.S. I would like to use the BBCode to have the picture on this post, is that possible with imgur? (That's what I'm using) If someone could help me out that'd be great. Wow I love that species! So gorgeous and unique!